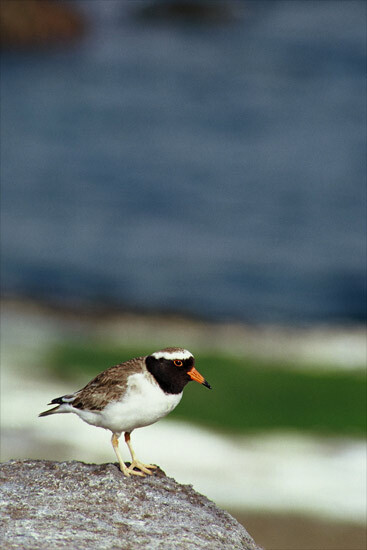 One of the rarest shore birds in the world, the shore plover once bred around the coast of mainland New Zealand. By the late 1880s it was confined to the Chatham Islands, having been hunted to extinction on the mainland by cats and rats. Since the 1990s there have been a number of attempts to reintroduce the bird to small islands around the North Island. Some adult birds flew to the mainland and disappeared, and some were attacked by moreporks (native owls), but a couple of adults managed to raise chicks on an island off the East Coast.